Dedicated customer service has helped this Glasgow-based painting and decorating firm to take the final award of 2018. 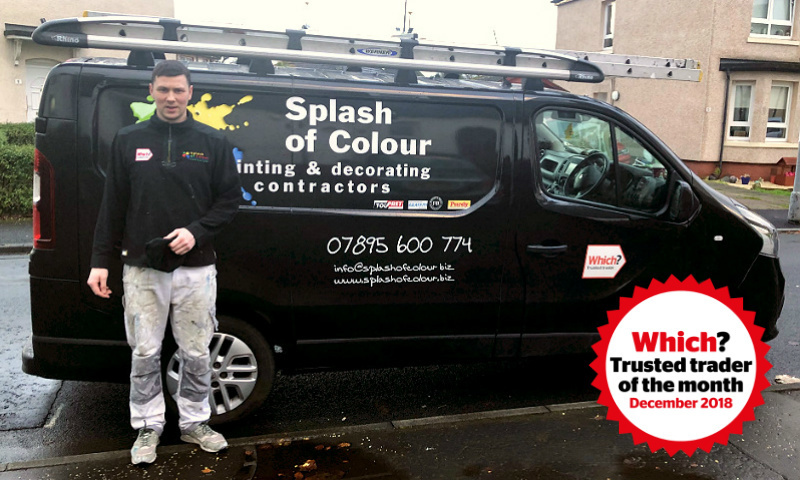 Shaun Mckay, owner of Splash of Colour, has become one of the youngest winners of Trusted Trader of the Month. 26-year-old Shaun won December’s title, with judges praising his work ethic and his willingness to go the extra mile to help customers.